These are new launchers for all the games of Command & Conquer: The Ultimate Collection which fix some registry entries and let command-line parameters (e.g. -ui -win) pass through. 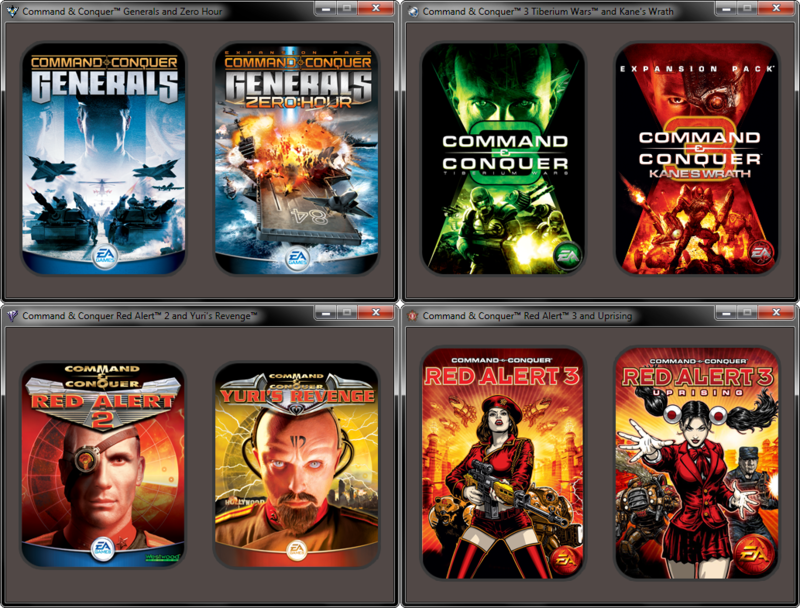 Using these launchers will allow you to play popular mods with the Command & Conquer: The Ultimate Collection versions of the games. These launchers are often overwritten by Origin during updates. To prevent this, right-click on each game’s cover in your Origin library, click “Game Properties” and disable Origin In-Game/cloud saves. Launches the game directly instead of popping up the window for choosing. If you don’t know how to use parameters, please follow this link: http://www.ehow.com/how_7208987_add-line-parameter-windows-shortcut.html. The launchers are compatible with all locale versions of The Ultimate Collection.